If you are heading to Florida, chances are you are looking for the best Orlando hotels with great pools. It’s hot down there. Really, really hot. And a great pool means you can skip a day at the theme park and relax while the kids still have a blast. 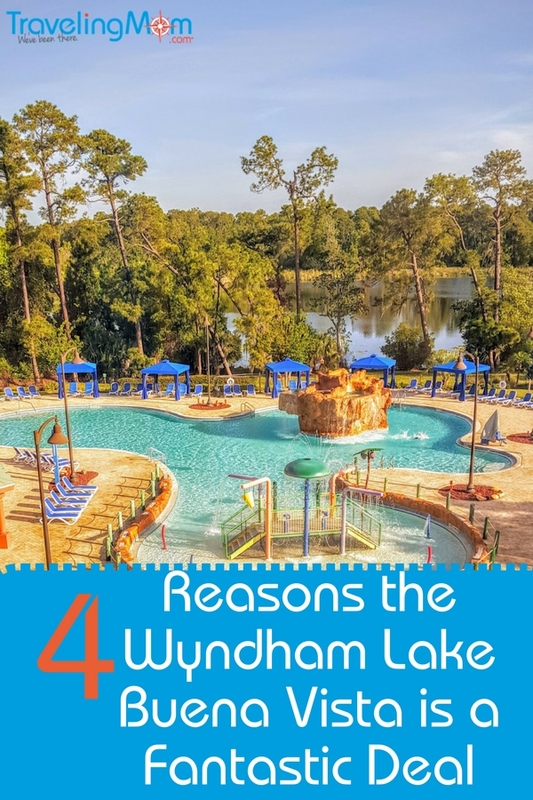 While there are a lot of hotels in Orlando, the newly renovated Wyndham Lake Buena Vista in the Disney Springs Resort area is one of the best Orlando hotels with great pools. And it even works for large families! 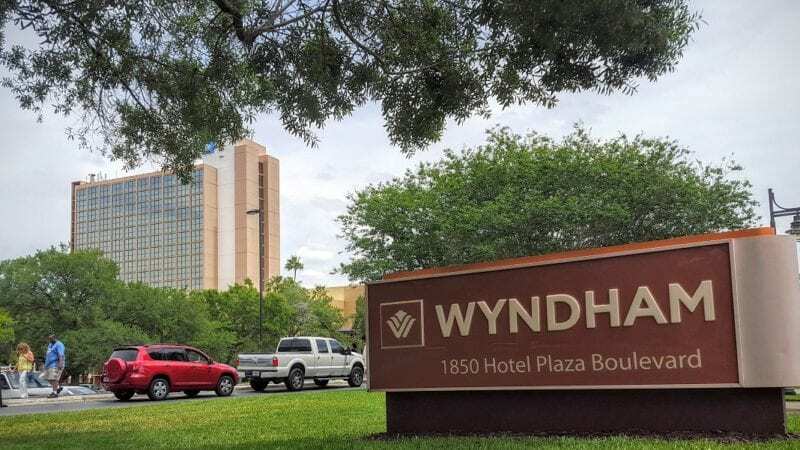 The Wyndham Lake Buena Vista is newly renovated and offers some value-added extras that can help make your time in Orlando more enjoyable by helping you stress less and save money. 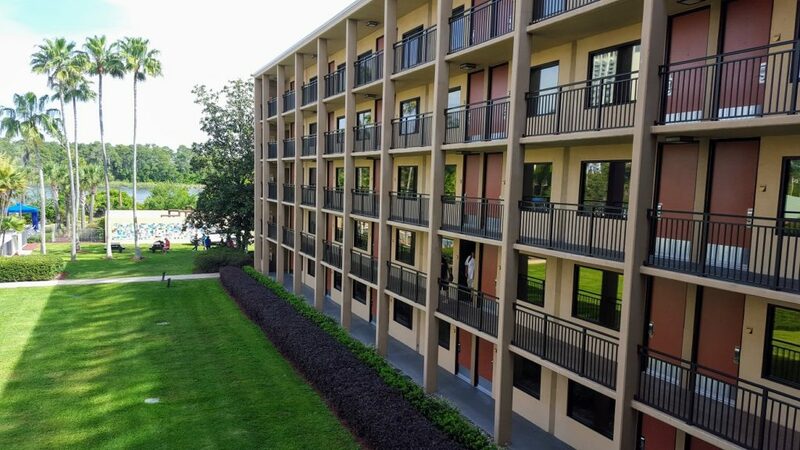 Take advantage of the great location, rooms for every price point, and tasty (and allergy-friendly) food at this official hotel of Walt Disney World! Location is important in Orlando. Some of the best Orlando hotels with great pools are not situated close to the theme parks you want to visit. Don’t spend your time caught in traffic! The Wyndham Lake Buena Vista is located directly across the street from the newly named “Disney Springs” area (formerly Downtown Disney). While there is bus service running approximately every 30 to 45 minutes from the hotel, don’t bother waiting for it unless you are heading to one of the theme parks. Leave the car parked and either walk or use onsite transportation to go to Disney Springs. It’s only about 1/4 mile, or 10 minute walk to Disney Springs. You can get buses to anywhere in Walt Disney World Resort from there. Be sure to spend time investigating all the shops, restaurants, and activities at this new destination. Best of all, there is no charge to visit Disney Springs! You still get the Disney World feeling without needing a ticket. We let our kids play at the gigantic LEGO Store and pick out something small to take home. We also take the time to browse the Disney gift shops so we don’t waste time inside the theme park when we could be riding rides. I also like to splurge on a fun dinner or lunch at Disney Springs since we aren’t paying for theme park tickets that day. 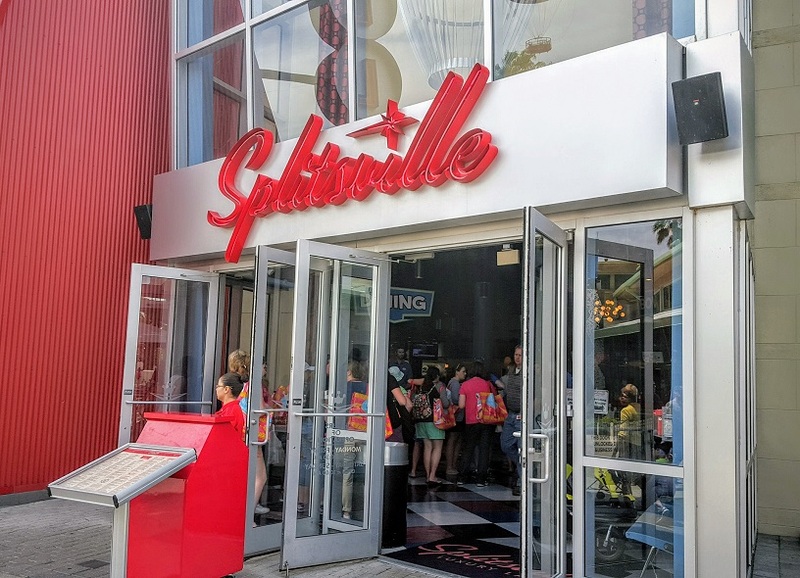 Check out T-Rex, Rainforest Cafe, or for great food and an activity, Splitsville! In addition to looking for Orlando hotels with great pools, you need comfortable, well-kept rooms too. And you get that at Wyndham Lake Buena Vista! There are really two hotels within this resort. The Wyndham Lake Buena Vista Tower rooms, in the 19 story main building, are the ones luxury seekers will probably gravitate toward. These 232 spacious rooms are newly renovated and have a posh lake house feel you would expect to find at a much more expensive resort. We were able to see the fireworks at Epcot from our Tower room window which was fantastic. Tower rooms can also be adjoining so families that need more than one room can spread out but still be connected. Each room sleeps four comfortably and includes a mini-fridge, coffee maker, and luxury linens. The other hotel within this resort is the Wyndham Garden Lake Buena Vista. it is affordable and pricewise one of the best Orlando hotel deals out there. 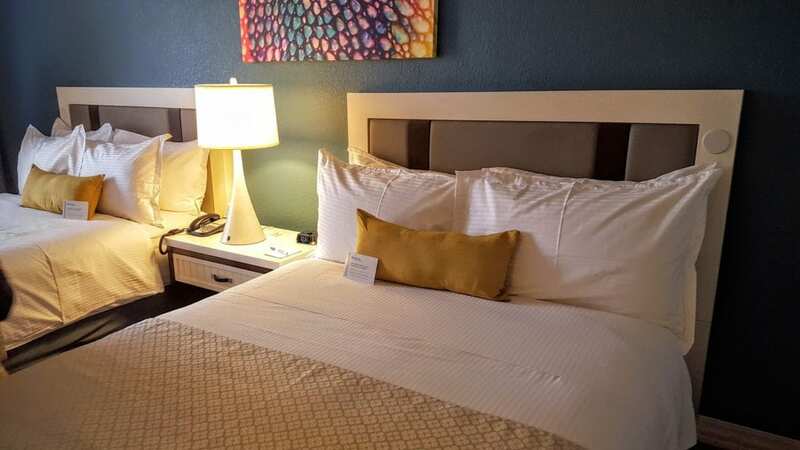 You can save money by staying in these rooms (about $50 to $75 less per night); however, there is a stark difference between these two types of rooms. The Garden rooms are more of a motel type environment with the rooms opening to an outside walkway. There are no connecting rooms on the Garden side either. The views leave something to be desired. 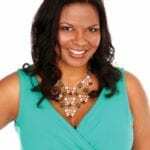 However, if you are the type of person who just wants a clean room to crash in after spending long days at the park, then perhaps these rooms will work for you. Guests of both hotels get to use all the resort’s amenities. Families with small children, especially big families who need more than one room, will want to upgrade to the Tower rooms and request adjoining rooms. 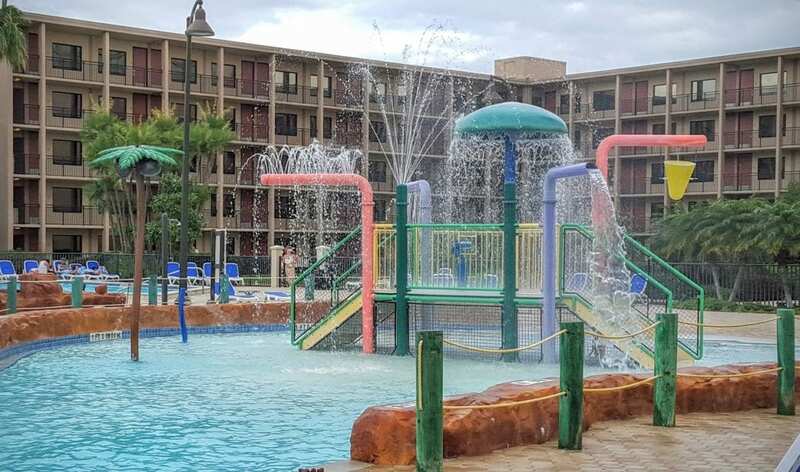 There is also a sand volleyball court, two lighted tennis courts, a basketball court, and there is a “Director of Fun” on staff several days a week to lead additional family-friendly activities like pin trading, crafts, nature walks, and pool games. Be sure to ask at check in for the schedule of activities while you are there. We didn’t know about the family activities until after we checked out! The staff has equipment for guests to use free of charge…just ask! I was very impressed with the Kid’s Corner, located in the lobby of the Wyndham Lake Buena Vista. It is hidden in the far corner so it was another thing I didn’t see until after checking out. 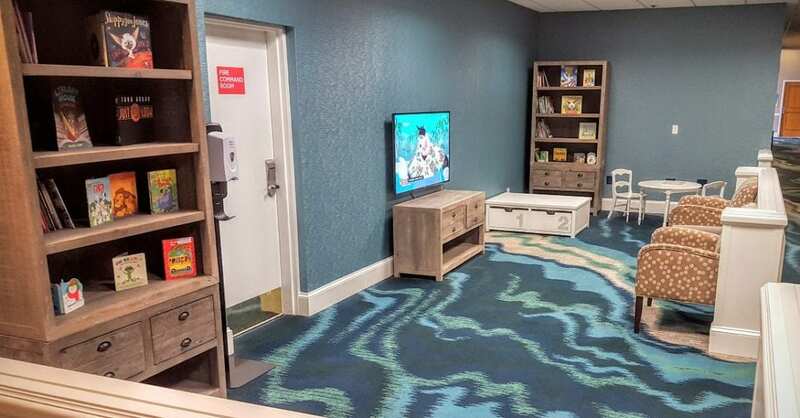 It is the perfect spot to let kids relax while mom and dad check in (or out) or to sit with them to read a book, watch a Disney show, or play a game. If you have little ones taking a nap in the room or just need some quiet, indoor time, the Kid’s Corner is a great place to hang out. And it’s free! 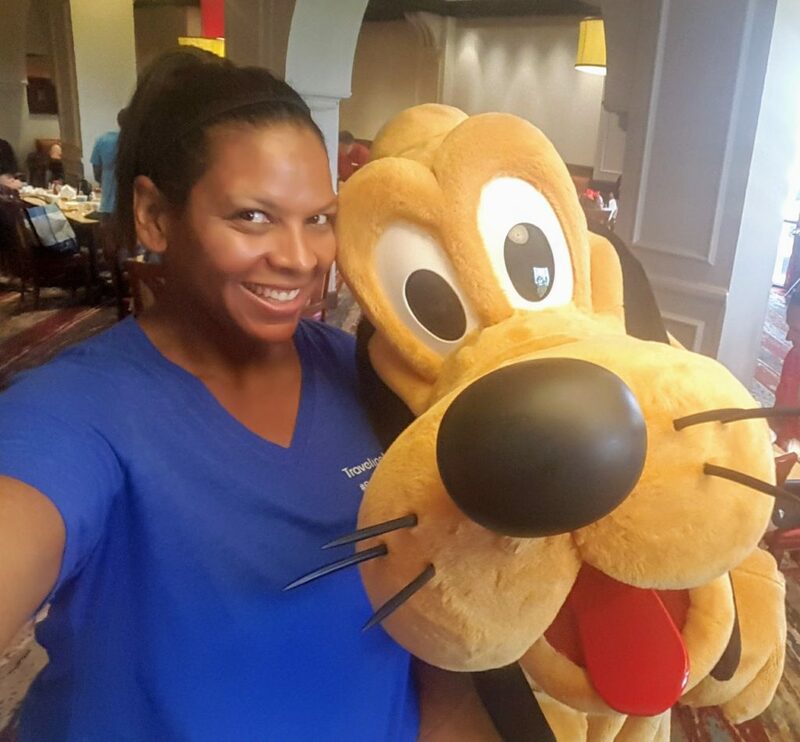 One of the reasons people like to stay at a Walt Disney World resort is because of the easy access to the character dining. Now you can get that convenience while staying off-site! 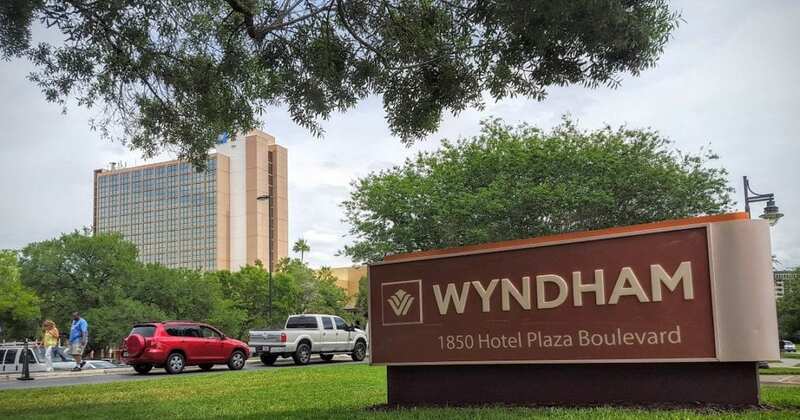 The Wyndham Lake Buena Vista is an “Official Hotel of Walt Disney World” but it is still considered an off-site property. However, they have a Disney Character breakfast, just like at the resort hotels! 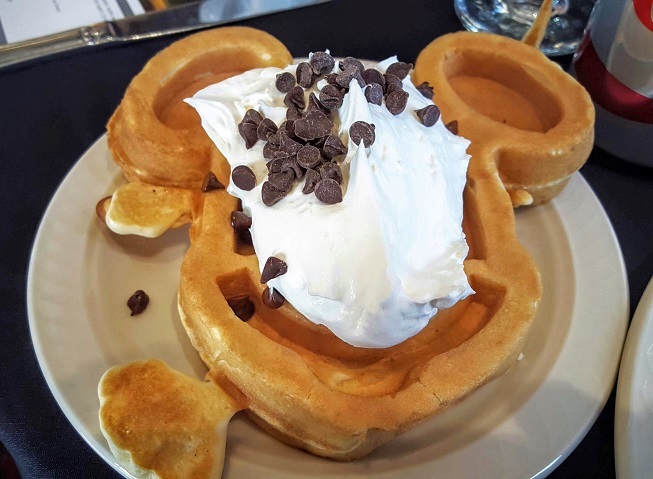 The breakfast buffet with Disney Characters is served Tuesday, Thursday, and Saturday mornings. Authentic Disney characters (real cast members) mill around during breakfast to “talk” with families and take photos. 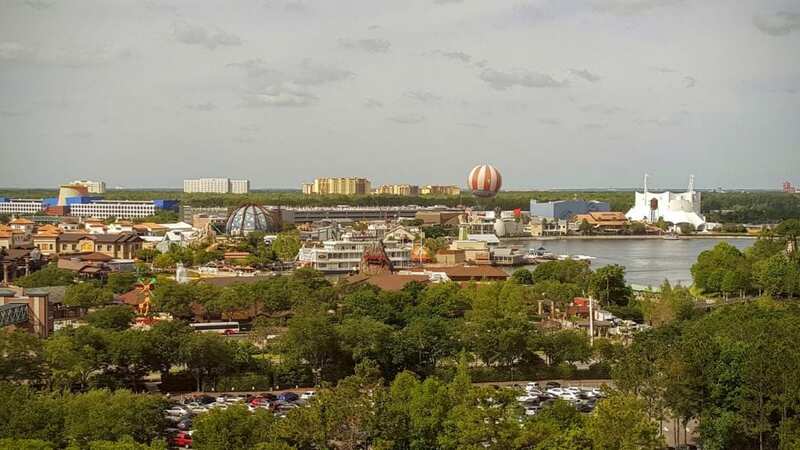 It is very relaxed and you will save considerable amounts of money over character dining in the resort, making it one of the best Orlando hotel deals.